One of the things about having a blog or facebook page for patrons is that you need to give them a reason to come back. What can they get there that they can’t get anywhere else? 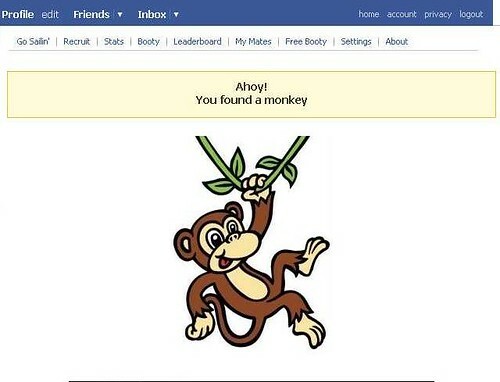 The Pirates application on Facebook hooked me with the monkey, I love monkeys! So what hook are you using to get people to read your blog? visit your myspace page? What hooks do you use to get people to come to 3D library events? How can you apply those to the web?